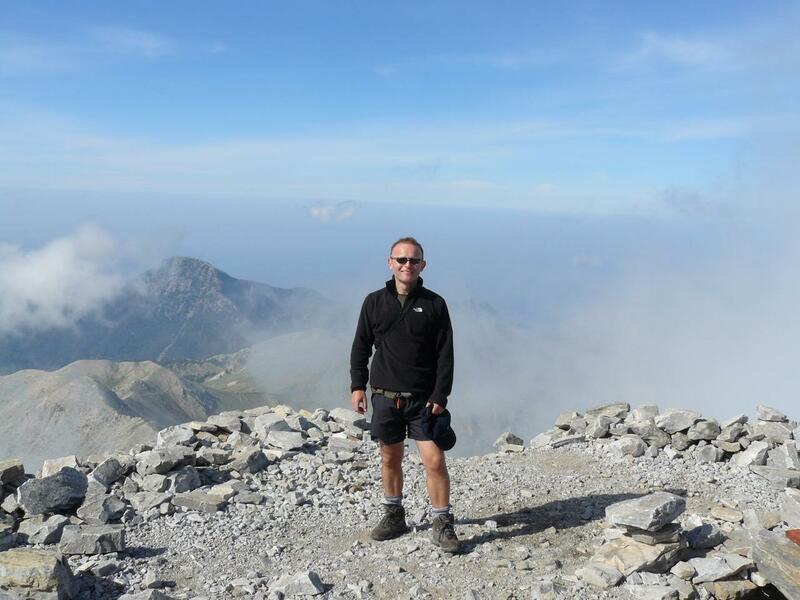 John Kittmer, the UK ambassador in Greece,recently completed a four-day hike, together with the Danish ambassador, from Mystras to Kardamyli, recreating part of PLF’s similar walk described in Mani. This morning, thanks to the Benaki Museum, I was standing in the study of the great man – war hero, romantic, philhellene – who wrote these words. Scanning the bookshelves of Sir Patrick Leigh Fermor, whose love of Greece was nurtured by wartime experience, by a lifetime of conversation and friendship with Greek people, and by deep reading and learning, I felt an inestimable sense of good fortune, veneration and humility. I fell in love with Greece because of Greece. But every would-be lover needs friends who encourage and nurture the love affair. For me, my teacher Gerald Thompson, about whom I wrote (in Greek) in February, and the travel-writer Patrick “Paddy” Leigh Fermor, whom I never met, were those such friends. In the past five days, I repaid through imitation the great debt I owe to Sir Patrick. You can read more on John Kittmer’s English blog and one in Greek. This entry was posted in In Paddy's Footsteps, Paddy's Houses and tagged British Ambassador Greece, Greece, John Kittmer, Kardamyli, Mistras on June 25, 2015 by proverbs6to10. I’m not so sure about ambassadors and the great and the famous and aristocracy – even if PLF was more often drawn towards these kinds of people than unknown, ordinary, if more interesting people, like the fan who was turned away at the door of the house in Greece, and who left on the doorstep his compass and a note explaining why he no longer needed it.